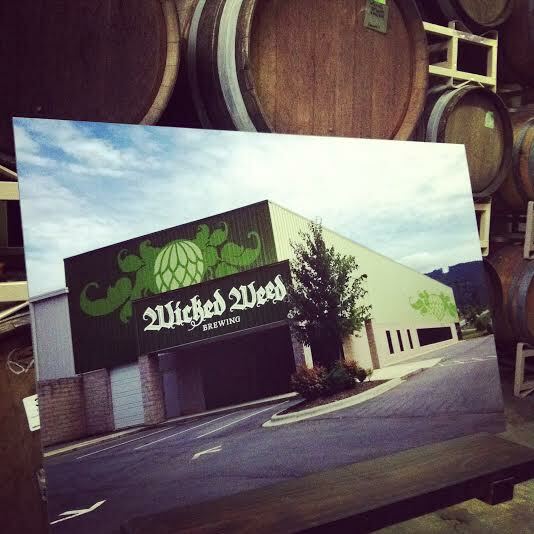 Wicked Weed’s new Funkatorium, slated to open in September 2014. Photo courtesy Wicked Weed. Wicked Weed Brewing’s new Funkatorium isn’t open yet, but this past Friday members of the media huddled in around the hundreds of barrels — some that once held bourbon, others wine or gin — to hear more about the project. After being asked to demystify wild yeast, head brewer and partner Luke Dickinson offered up the analogy that “normal” beer yeast could be likened to a dog, while wild yeast — which can give a beer distinct tart, sour or funky notes — was more akin to a cat. “You can live with it, you just have no idea what it’s going to do,” said Dickinson, eliciting laughter from the 40 or so journalists in attendance. 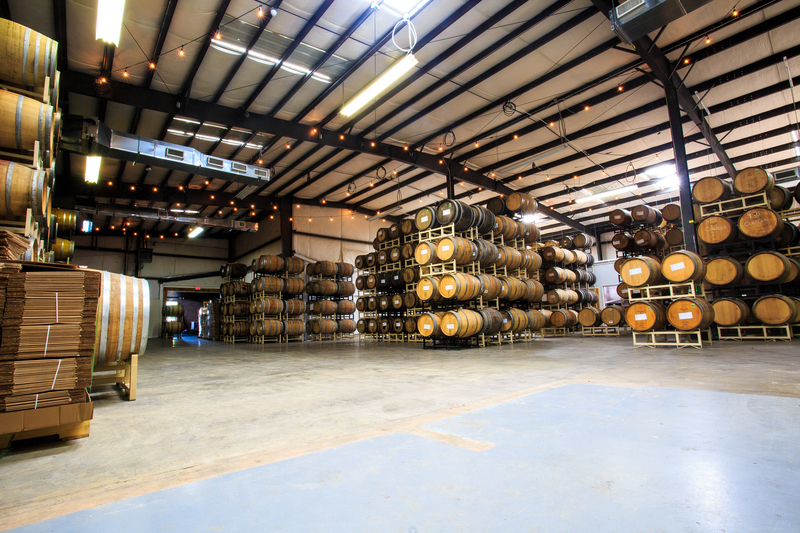 Which is one of the reasons Wicked Weed is moving wild beer production to their new Funkatorium, a large warehouse space at 147 Coxe Avenue, in Asheville’s South Slope area not far from the original brewpub. This expansive space will house the brewery’s sizable barrel program as well as a taproom pouring sour beers almost exclusively from 16 taps. Sour or funky beers like their popular Serenity, Genesis and Black Angel will be fermented, blended and bottled on site, which will help not only in terms of production but to also reduce the risk of cross-contamination by keeping the wild beers away from the non-sour or “clean” beers. The Funkatorium will also feature a variety of small bites from a menu that is broken down into the following sections: sweet, sour, earthy, composed, on bread, and market. It is set to open in September. As if this wasn’t news enough, the folks at Wicked Weed had something else up their sleeves. They announced that they will also be opening a third location in the fall of 2015 that will serve as a production brewery for the brewery’s non-sour beers (think IPAs like Freak of Nature Double IPA, Tyrant Double Red Ale and Hopburglar Blood Orange IPA).his $5 million, 40,000-square-foot facility will be located in the Candler area, roughly 10 minutes away from the downtown brewpub. Other cities tried to lure the brewery to build the production facility outside of Asheville, but staying close to home was important to the founders of the brewery. “We knew we wanted to be an Asheville brewery,” said partner Rick Guthy. The production facility will house a 30-barrel brewhouse, with eventual hopes of brewing 50,000 barrels of beer a year there. Dickinson mentioned 16-ounce bottles, but also talked of 12-packs and the possibility of a canning line down the road. Distribution will start slowly, moving through NC before entering other East Coast markets in 2016. For some perspective, the brewery opened in late December of 2012. It brewed 2,800 barrels of beer in its first year, and has already brewed 2,700 to this point in 2013. This entry was tagged asheville breweries, new wicked weed brewery, wicked weed brewing, wicked weed funkatorium. Bookmark the permalink.